An excellent, must-read in it’s entirety, explaining how Barack Obama is preparing to smash the BRICS, all in an attempt to save the dollar. That is what Ukraine is about, that is what all the chaotic, confusing, illogical decisions from the Obama administration has been about. 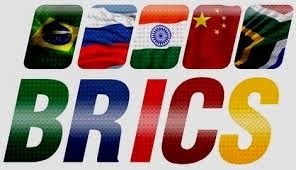 The BRICS are Brazil, Russia, India, China, and South Africa. 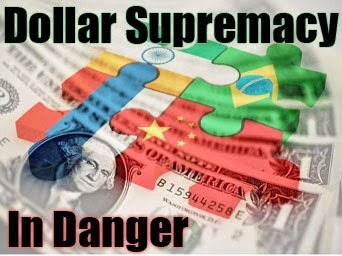 It is all about the glocal economic reset, the postponement of the collapse of the dollar that we have been warned about and staving it off as long as possible. Barack Obama and the West would rather start a nuclear war, killing millions, than to allow this to happen. Bilateral and multilateral discussions among the five emerging economic powers aimed at decoupling BRICS economies from the U.S. dollar as a reserve and trading currency have met with the only power Washington can muster on behalf of itself and its foundering allies — military force. The problems between Ukraine and Russia over Crimea and federalism within Ukraine are a mask designed to cover Obama’s true intentions, which are the smashing of the BRICS as a viable alternative to the neo-colonialist financial systems of the West and subsuming the economies of the BRICS to the whims of the United States and the ever-teetering European Union. By trying the smash BRICS, Washington and its lackeys are playing with fire. And, keeping in mind that Russia, China, and India are nuclear weapons powers, and Brazil is reportedly emerging as one, the West is playing «Russian roulette» with a nuclear trigger.